Your facility’s overhead cranes represent a significant investment requiring periodic maintenance and inspection. And if you have ever personally walked the length of a crane rail, you understand the fall hazards associated with this work. 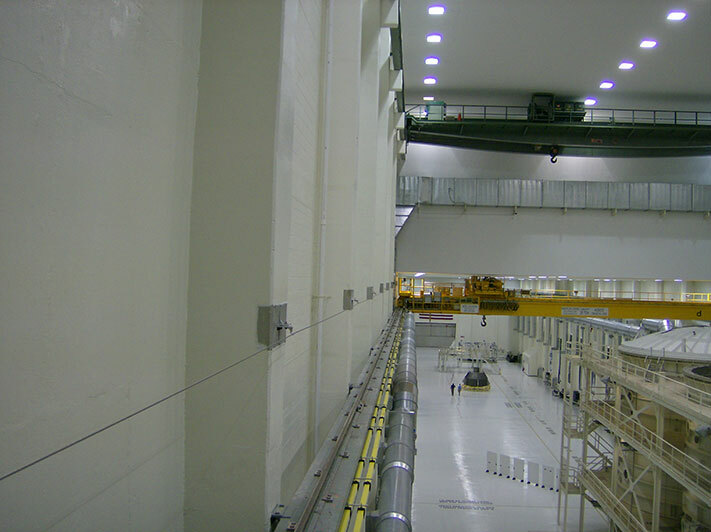 A crane rail’s narrow, dust-covered walking surface is often one of the highest maintenance areas found in any facility. Proper maintenance and inspections of crane and hoist system must include the runway structure and rails. Many facilities have process machinery, storage rack or other equipment blocking ground access to the runway rails using personnel lifts. Crane inspectors must have full access to every section of the bridge and runway to make sure structural supports are functioning properly and free of damage. A proper alignment and runway rail survey must include the physical inspection of the surface of the rail itself, hook bolts, splices bars, tiebacks, and welds. Replacement and retorquing of bolts and other fasteners is a routine part of this work. The nifty crane alignment robots are ok for alignment surveys, but human eyes and hands have to make the physical inspection as well as any required repairs. OSHA §1926.502(a)(2), instructs employers to provide and install all fall protection systems for employees and comply with other pertinent subpart requirements before the employee begins work that necessitates the fall protection. Simply put, in situations where the status of appropriate anchorages are unknown or suspected to be inadequate, employers should discuss safe ways to access crane runways and other areas where work is to be conducted. Such planning should anticipate where proper anchorages are to be located prior to work being started instead of using alternative anchorage points which may not comply with this subpart. This runway or crane fall protection must meet the requirements of the OSHA §1926.502(a)(2) and limit the drop to 6’ or under. One of the most common fall protection solutions for crane rail applications is a horizontal lifeline, which allows safe access to the entire rail length while maintaining 100% tie-off. Although crane lengths vary, we can install design and lifelines that range from less than 50′ to over 1,000′ feet. Remember, ensuring working safety and OSHA compliance requires the implementation of a comprehensive fall prevention strategy, which includes the proper mix of fall protection equipment, and personnel training. Partnering with a fall protection company that appreciates the unique nature of your crane’s access points and potential fall hazards will ensure the safety of your workers and the OSHA compliance of your facility. CRANE 1 can assist you with the installation of a proper Crane or Crane Runway fall protection system to system to ensure the safety of crane maintenance personnel.